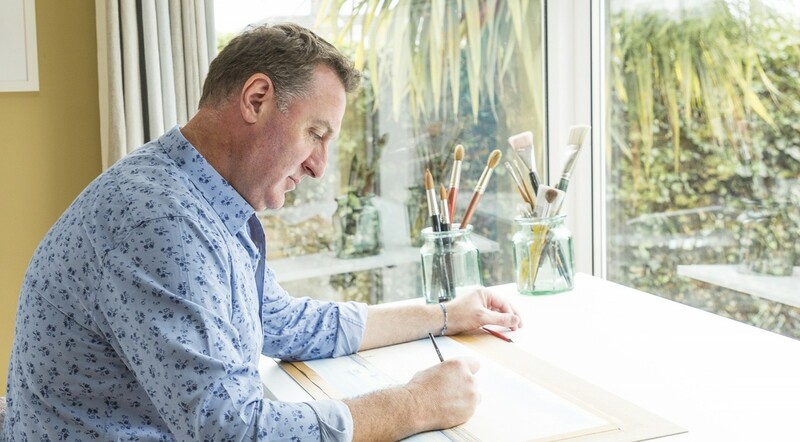 Jim’s paintings are highly detailed, vibrant and colourful, creating an accurate and soulful portrayal of the scene. I couldn’t imagine my life if I wasn’t drawing and painting, and now I make my living from it. How lucky am I? I have been painting full time for over 25 years. I am largely self taught, which has helped me to develop my individual style. I work mainly with a mixed media technique, using fine nibbed dip pens with indian ink and watercolour. I love to paint cityscapes and street scenes, the more detailed the better. 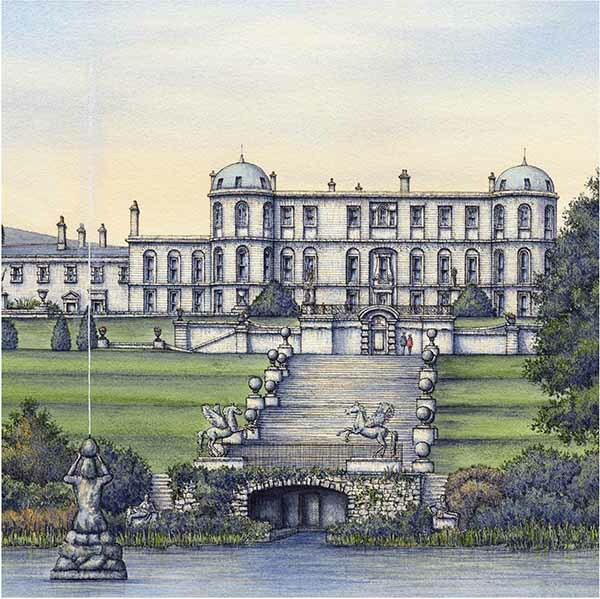 The fine pen work provides a beautiful architectural feel to my paintings, combined with warm washes of vibrant colour. I also enjoy painting more serene seascapes, which brings a more traditional aspect to my work. I incorporate the same meticulous attention to detail in my paintings to all aspects of my work, from framing, presentation, branding to in store displays. I spend as much time as I possibly can painting and creating new pieces, simply because it is something I love to do. 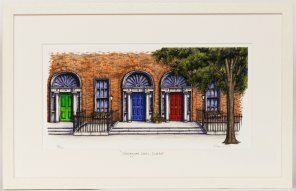 I work mainly with a mixed media technique, using fine nibbed dip pens with indian ink and watercolour. Jim’s prints are the perfect corporate gift. 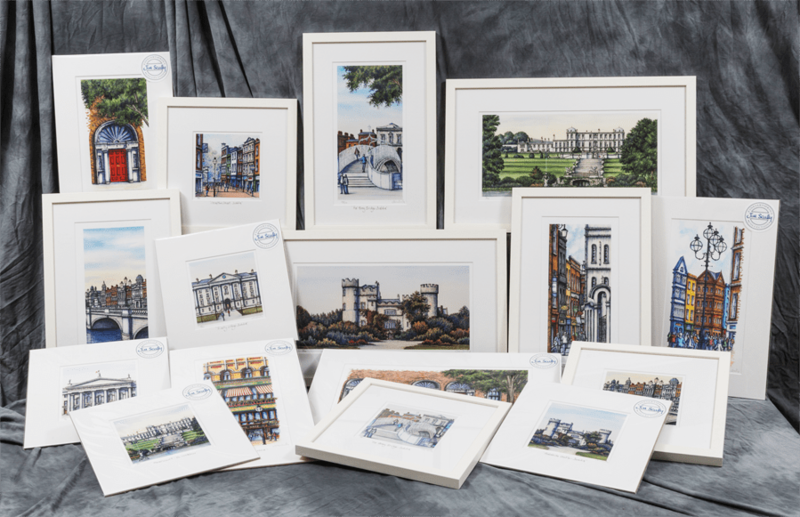 The scenes depicted are instantly recognisable, ensuring the recipient will treasure the piece for years to come. 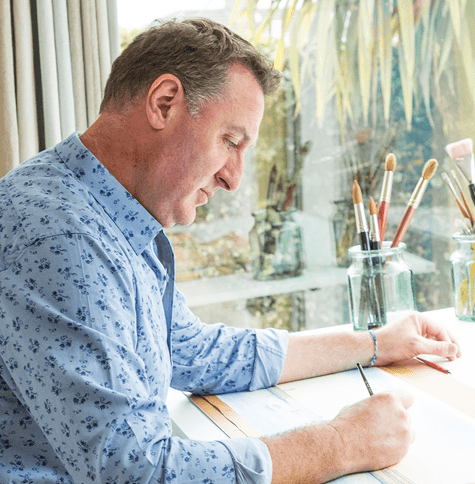 Imagined and created by a well established artist, Jim’s prints incorporate the highest standards of print quality and design. Jim Scully Prints updated their cover photo. Jim Scully Prints updated their profile picture.